When you want to get faster approval to build industrial, residential or commercial properties, there is a particular approval process that lets you do so. You must first meet certain conditions before you can get approved as complying development. 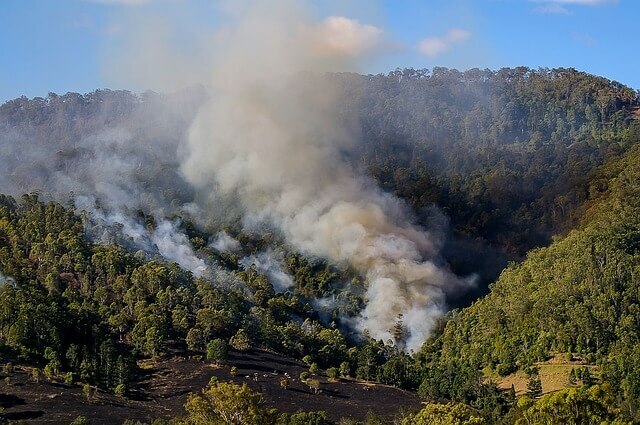 The State Environmental Planning Policy (Exempt and Complying Development Codes) 2008 has outlined the conditions for complying development, specifically as it pertains to land that is prone to bushfires. The Rural Fire Service offers a tool that can help you discover whether you have bushfire-prone land. All you need to do is enter your address to learn whether your area is bushfire prone or not. If it turns out that you have bushfire prone land, that doesn’t automatically mean you cannot utilise complying development. There are specific requirements in the codes of SEPP that can be met in order to gain approval. These codes are the Housing Code (clause 3.4), Rural Housing Code (clause 3A.37), and the Housing Alterations Code (clause 4.6A). Certain development types have an additional exemption from these codes. For example, landscaped areas, swimming pools and non-combustible fences are all exempt because they have little to no risk of catching on fire. Complying development in bushfire areas has up to six minimum requirements that must be met. First, your land must be accessible by a public road or one the local council maintains. Second, electricity needs to be available nearby so that it can be connected to the dwelling on the property. If there is bottled gas or reticulated gas on your land, you must follow the rules of AS/NZS 1596:2008 when maintaining it. Also, if you have gas cylinders in a storage area that is less than 10 meters from the dwelling on the property, there are specific standards that must be followed. If you have gas meters next to your dwelling, they must not be connected to a polymer sheathed flexible gas line. Finally, there needs to be a fire hydrant and reticulated water supply connection within 60 meters of the developed area. There are different risk levels associated with bushfire-prone land. Some areas are deemed more prone to bushfires than others. Australian Standard AS3959:2009 describes the process that goes into assessing the risk of a particular area of land. Basically, if your property is in a flame zone or has a level-40 risk of getting a bushfire attack, then you will not get approved for complying development. You will be issued a complying development certificate after you have met all the requirements outlined in the codes of the State Environmental Planning Policy (Exempt and Complying Development Codes) 2008. You must also comply with the State Environmental Planning Policy (Infrastructure) 2007, the Environmental Planning & Assessment Act 1979, the Building Code of Australia, and the State Environmental Planning Policy (Affordable Rental Housing) 2009. The city council or an accredited certifier will review your application to ensure that you comply with all these regulations. If you are, then they will issue a complying development certificate so that you can begin construction on your land.